In other words, if Beijing fails to rein in the Pyongyang regime, the US could resort to military measures. Tillerson’s remarks followed a top-level meeting in Washington between him and US Defence Secretary James Mattis and their Chinese counterparts—China’s foreign policy chief Yang Jiechi and General Fang Fenghui, chief of the People’s Liberation Army’s joint staff department. Tillerson called on China to make greater efforts to halt “illicit” revenue streams to North Korea that allegedly help fund Pyongyang’s military programs. Just last week, he told a congressional committee the Trump administration was “at a stage” where “we are going to have to … start taking secondary sanctions”—that is, penalise countries and corporations that engage in economic activities with North Korea. Unilateral “secondary sanctions” imposed by the US would, above all, fall on Chinese companies. China is, by far, North Korea’s largest trading partner. US officials and the media have repeatedly accused Beijing of failing to do enough to choke off trade and finance with the Pyongyang regime. Any penalties against Chinese individuals or entities would quickly sour relations between the US and China. Just before the talks, US President Donald Trump signaled that time was running out for China to force North Korea to bow to US demands. 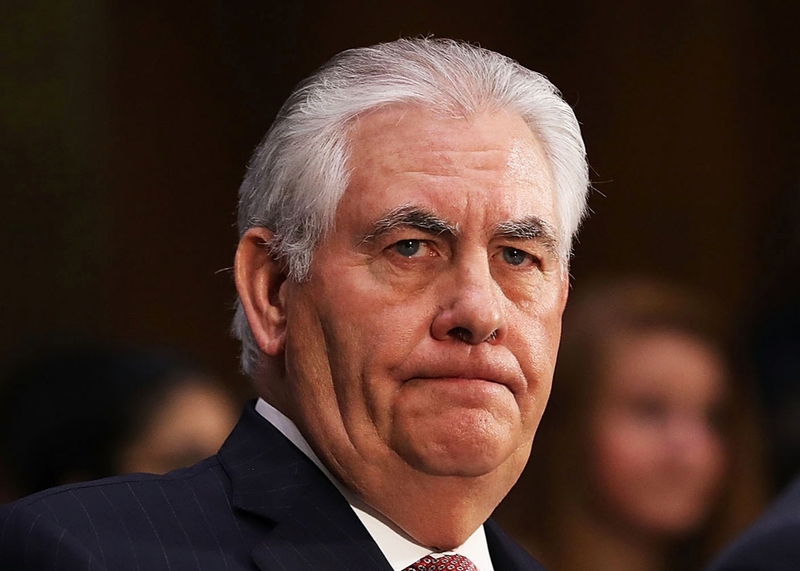 While Tillerson’s remarks indicate the US continues to pressure China for action against North Korea, Trump’s tweet is a warning that the US will resort to other measures—including military action—if there are no results. Mattis denounced Pyongyang in particular for the death of Otto Wambier—the American student imprisoned in North Korea who died on Monday after being flown back to the US last week. The Trump administration is considering a ban to prevent Americans from visiting Pyongyang. 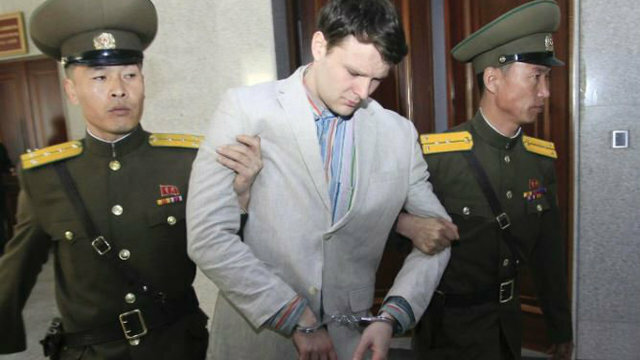 Three other US citizens are currently jailed in North Korea. The comments of Mattis and Tillerson suggest that relations with China could deteriorate rapidly, especially if North Korea conducts another nuclear test or a long-range missile launch. 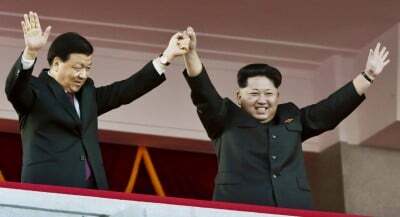 In comments to CNN, unnamed US officials claimed this week that satellite imagery showed new activity at North Korea’s underground nuclear test site and suggested that a sixth nuclear detonation could be imminent. Ahead of yesterday’s talks in Washington, US State Department officials indicated that Mattis and Tillerson would press their Chinese counterparts not only on North Korea, but a range of other sensitive issues, including the South China Sea and the so-called war on terrorism. Acting Assistant Secretary of State for East Asia, Susan Thornton, told Voice of America that “all parties should freeze any construction or militarisation of features” in the South China Sea—a comment directed especially at China. Last month, the US navy carried out another provocative “freedom of navigation” operation, sending a guided missile destroyer within the 12-nautical-mile territorial limit claimed by China around one of its islets. Trade and economic issues were excluded from yesterday’s US-China Diplomatic and Security Dialogue but remained just below the surface. During last year’s presidential election campaign, Trump repeatedly denounced China’s trade policies and threatened punitive trade war measures. In seeking Beijing’s assistance to pressure Pyongyang, Trump suggested the US could make concessions on trade. Having tweeted that Chinese efforts have “not worked out,” the implicit threat is that the US could ramp up the pressure on China over trade. “What Trump is saying is, I don’t need you on North Korea now, and therefore maybe we should have it out on these other issues, like trade,” analyst John Delury told the New York Times. China is reluctant to impose new sanctions that will cripple North Korea’s economy and provoke a political crisis that could be exploited by the US and its allies. At yesterday’s talks, Chinese officials reiterated Beijing’s call for renewed negotiations based on a freeze by Pyongyang on its nuclear and missile tests and a freeze by Washington on its joint military exercises in South Korea. The US has flatly rejected the proposal. Above all, the threat of US military strikes against North Korea hangs over Asia. Earlier this week, the Pentagon again sent two B-1 strategic bombers on a mission over the Korean Peninsula in a provocative show of force. The US Navy has two aircraft carrier strike groups stationed in the area, with another on its way. Any US military action against North Korea threatens to trigger an all-out conflict on the Korean Peninsula that could draw in other powers, including China, with devastating consequences. The Trump administration’s recklessness is underscored by the fact that it is engaged in an escalating confrontation in Syria that threatens to provoke a clash with Russia and Iran, even as it is ramping up tensions in North East Asia.